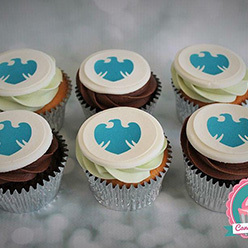 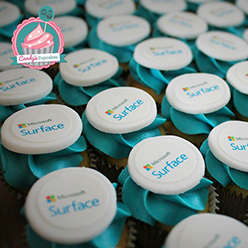 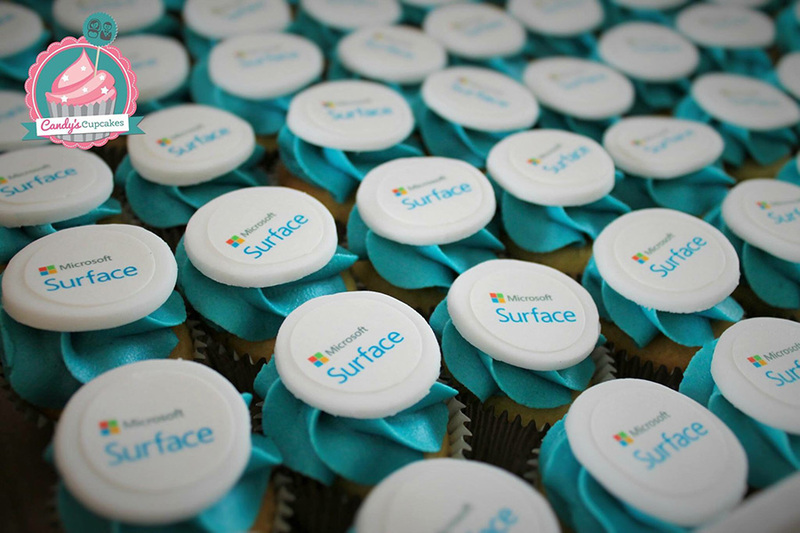 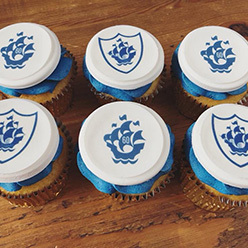 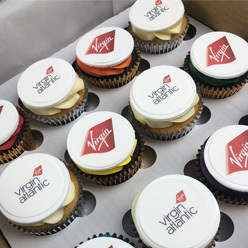 Branded cupcakes are the perfect way to market your business. 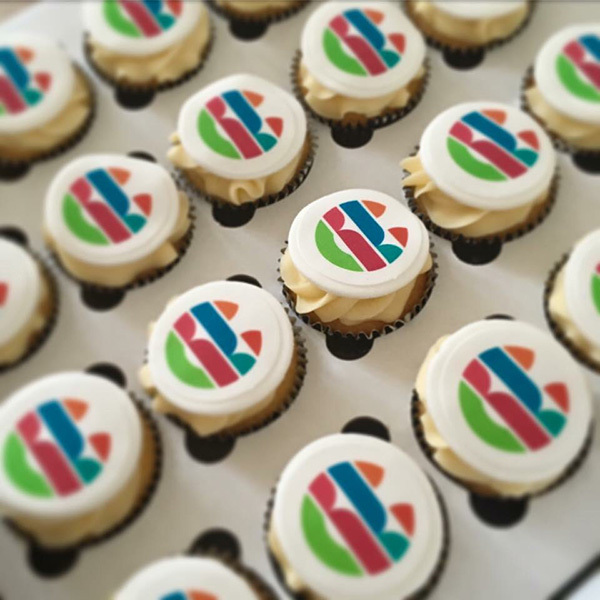 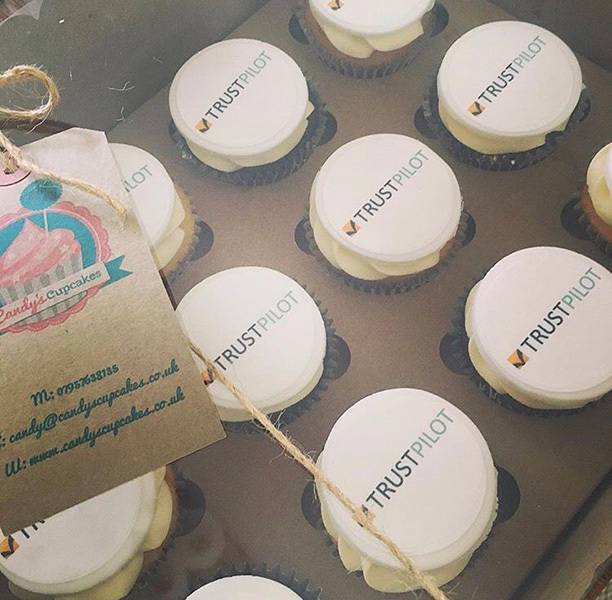 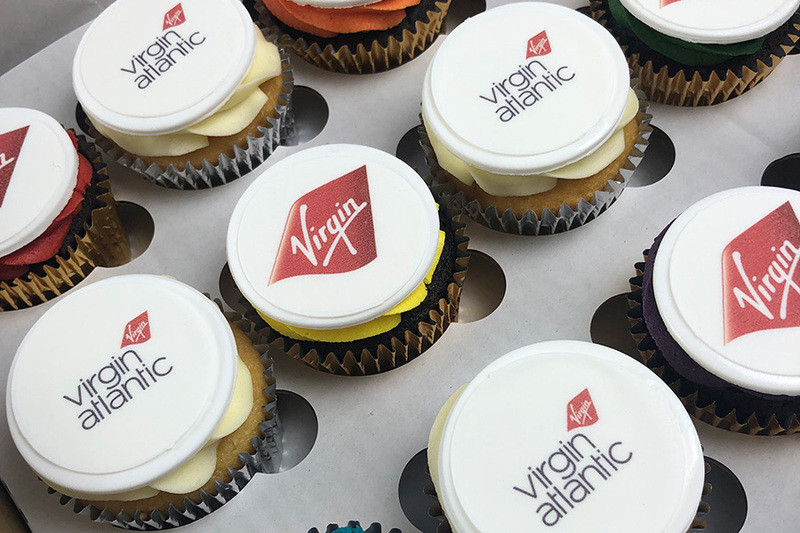 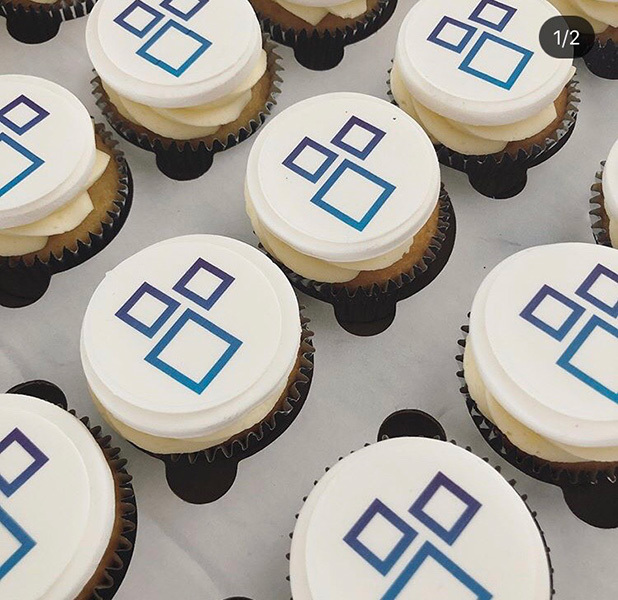 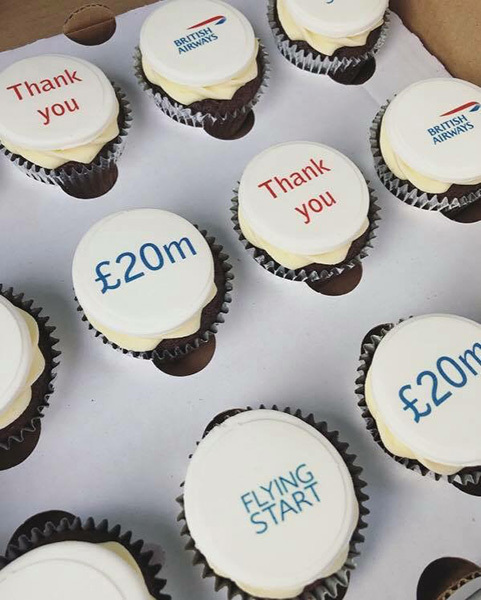 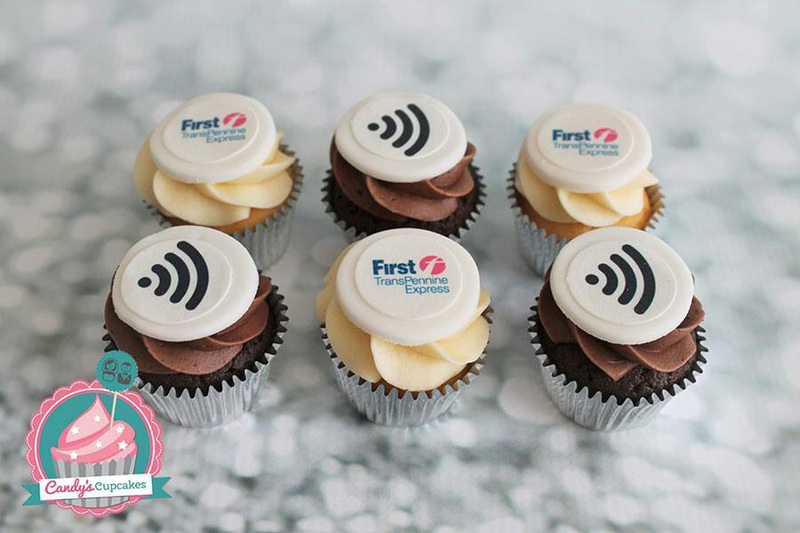 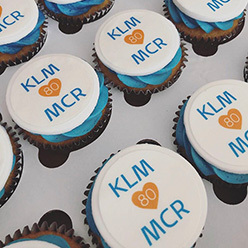 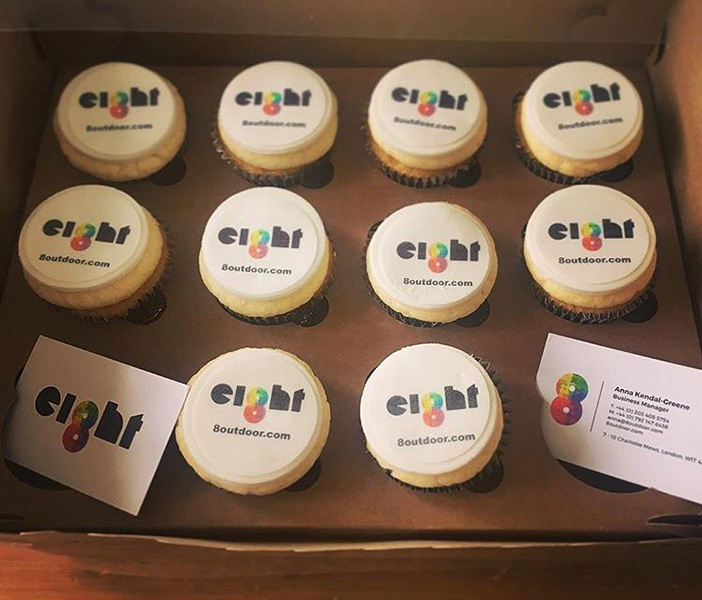 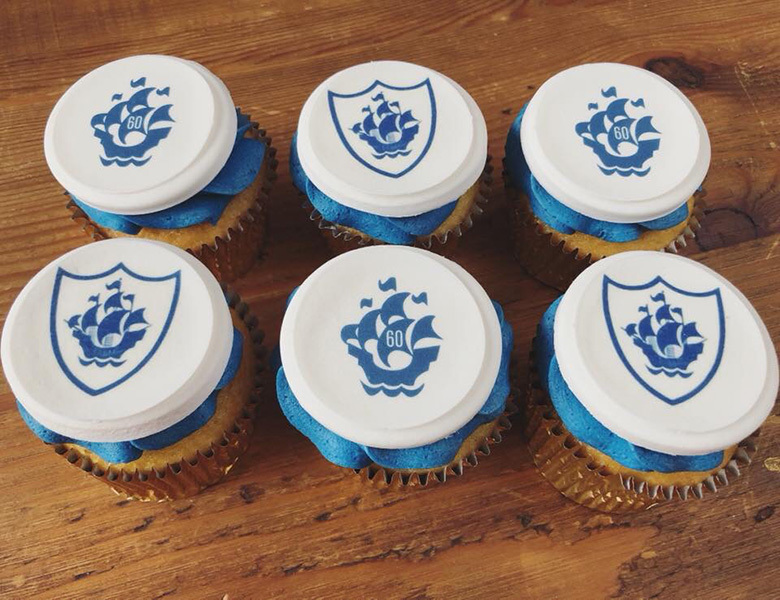 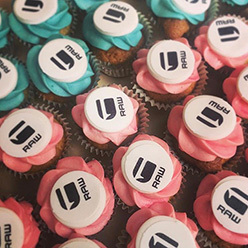 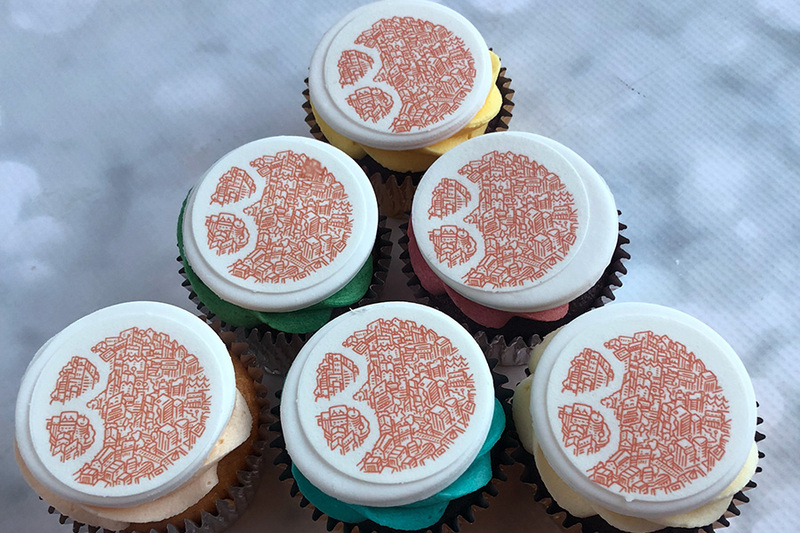 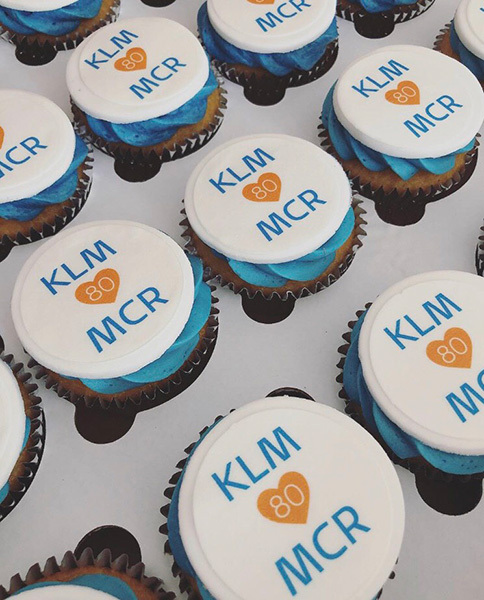 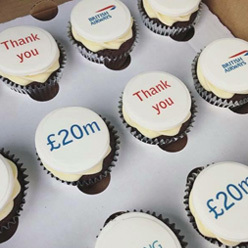 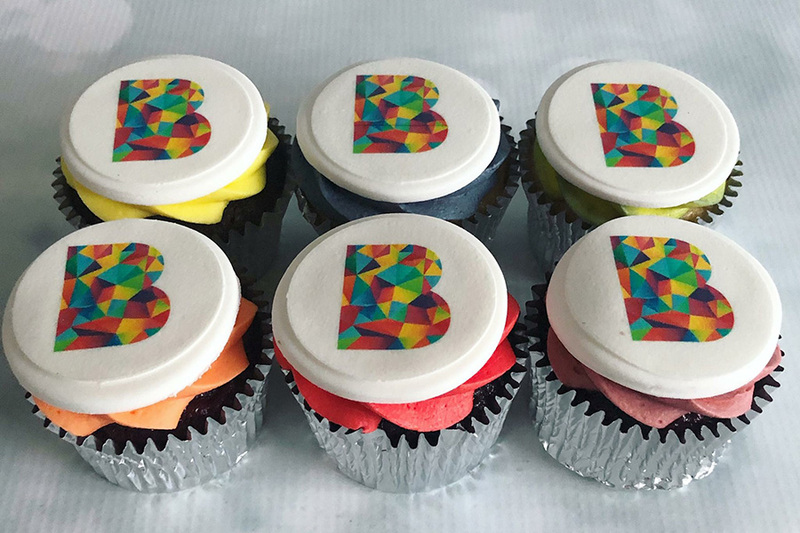 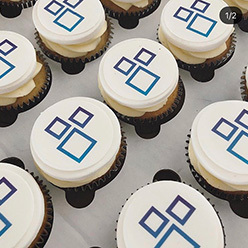 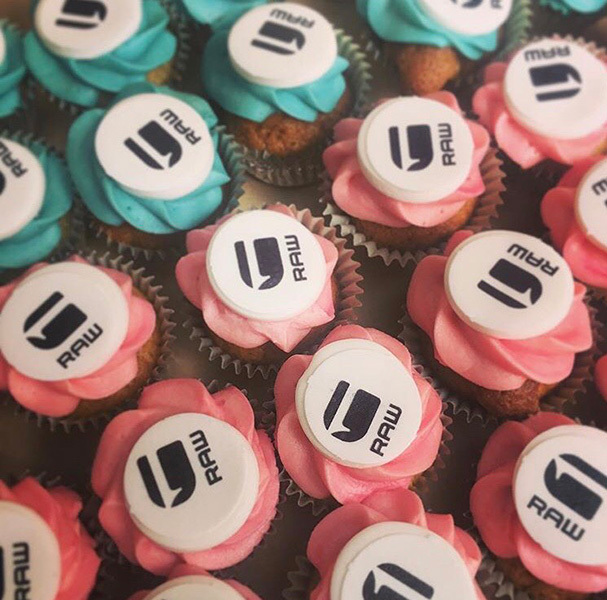 Whether you are launching a new business, publicising a rebrand, hosting a corporate event or celebrating a milestone, branded cupcakes are a great way to visually impress. 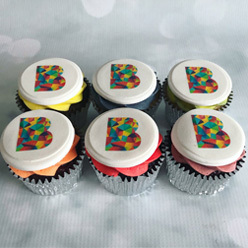 We offer high quality, delicious cupcakes in vanilla, chocolate and red velvet flavour sponges, plus any flavour/colour buttercream you like. 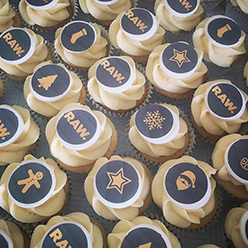 Upon request we can cater for special dietary requirements, so nobody feels left out. 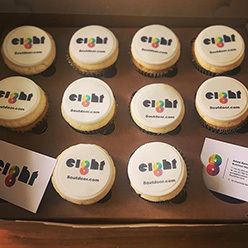 Every order is bespoke, with your logo professionally printed onto a thin layer of icing paper, mounted onto a sugar disc and placed on top of a sweet and creamy buttercream swirl. 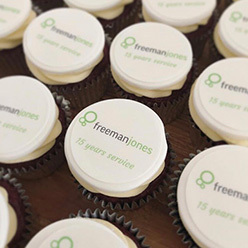 We have worked with a number of large organisations over recent years and can take on orders of 50 to 1000’s, delivered in person straight to your office or event location. 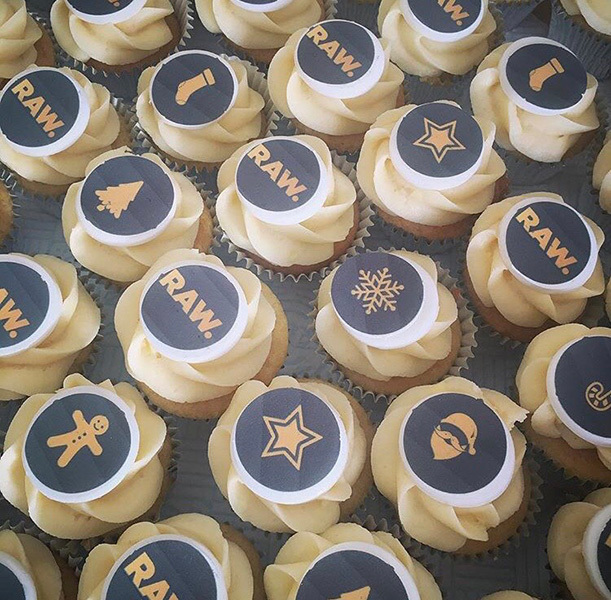 We aim to be eco-friendly and offer 100% recyclable packaging on all branded cupcakes orders. 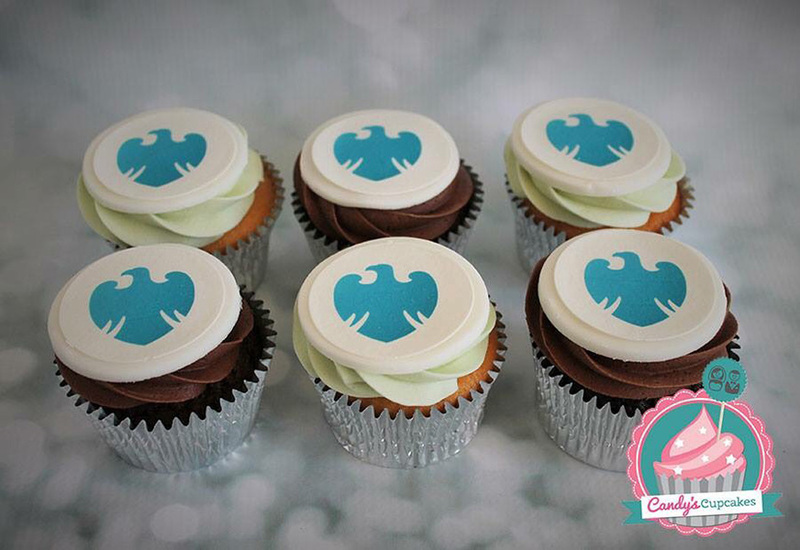 Our prices are competitive and can turn around large volume orders with as little as 48 hours notice. 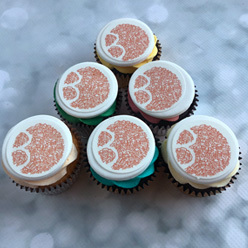 If you would like to place an order or discuss further please call 07957638135 or complete the online order form and we will respond within a few hours. 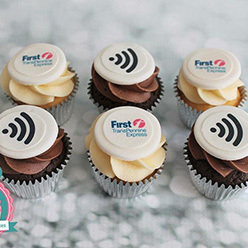 Please note these prices are for businesses only and full payment is required before delivery.